“Some of Australia’s most stunning scenery and iconic landmarks are providing the backdrop to one of Korea’s most popular TV shows, in a new bid by Tourism Australia to entice more Korean visitors Down Under. 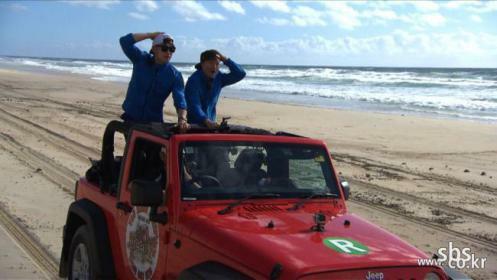 Korean reality-comedy series Running Man has just completed filming in Queensland and Victoria, with the first Australian episode starring Tangalooma Resort, Currumbin Wildlife Sanctuary and Palm Beach airing this week on Korean television screens (…). This week, fans of Running Man watched contestants compete in Kangaroo suits at Currumbin Wildlife Sanctuary and take a helicopter ride over the Gold Coast. Melbourne’s laneways and surrounds are set to feature as the backdrop for the next episode. Running Man is the latest project by Tourism Australia enlisting the support of Asian celebrities to promote Australia’s best tourism destinations to Asian consumers, with popular Chinese celebrities Nicky Wu and Ekin Cheng both filming projects in Australia in 2013 and the top rating Japanese celebrity travel show, Tabi Salada, filming an Australian special earlier this month. Making dedicated tourism promotion adverts to air on TV these days costs a fortune. The only time I see them is in the twilight hours on rolling news channels and besides, consumers are far too savvy to swallow what can often look close to being a cheesy propaganda video. Better instead to lure TV and film producers to your country and help them to film the best of what you have with their own means and on their own terms. Hitting the big-time and reaching potential visitors through the power of film can bring additional benefits too, as these visitors may be more attracted to visit out of high season, and show more desire to connect with other aspects of the destination’s cultural offering, or travel more widely to visit related landmarks. Tourism New Zealand’s work to attract millions of visitors from across the globe to is an excellent example of this. Running Man should be a good bet, since it has such a huge following across Asia. It has also been translated into English, Spanish, Thai, Vietnamese and Arabic for Hallyu fans, or fans of Korean pop culture of which there are many millions around the world. The combination of game show tension and comedy, fronted by Korean comedy superstar Yoo Jae-suk has won it the appeal of millions of young Koreans. When I announced to friends in Europe that I would be coming to live and work in Bangkok for three months, they quickly suggested that my life in the city could pan out like the plot of the film The Hangover III. It’s not just Hollywood audiences that have discovered the crazy side to Thailand through film. Last year, Lost in Thailand was crossed the USD 200 billion mark to become the biggest box office hit for a 3D film in China and has surely awoken the interest of millions of young Chinese to take the trip here. 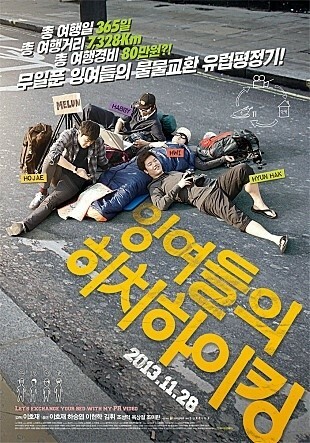 Similarly, but on a smaller scale, the Lazy Hitchhiker’s Guide to Europe was an amateur film that became highly popular in Korea last year.